* Death - best title to be had ? 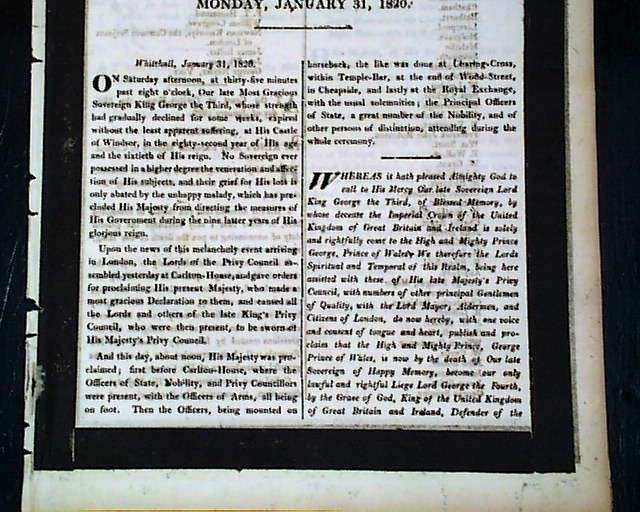 A very historic report of the death of the King with the ftpg. 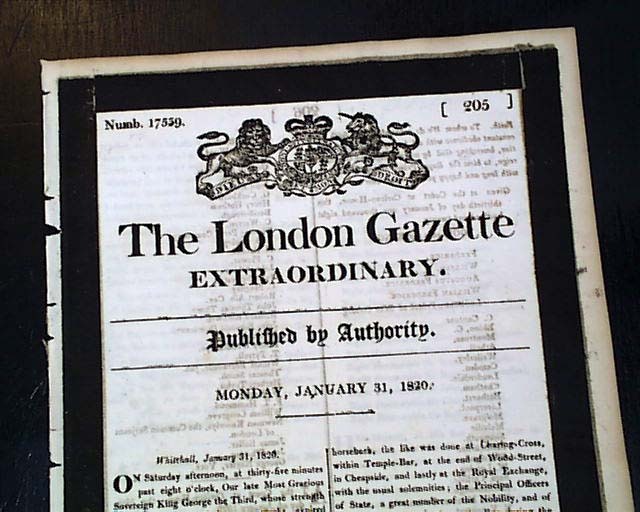 beginning with the announcement datelined: "Whitehall, January 31, 1820". 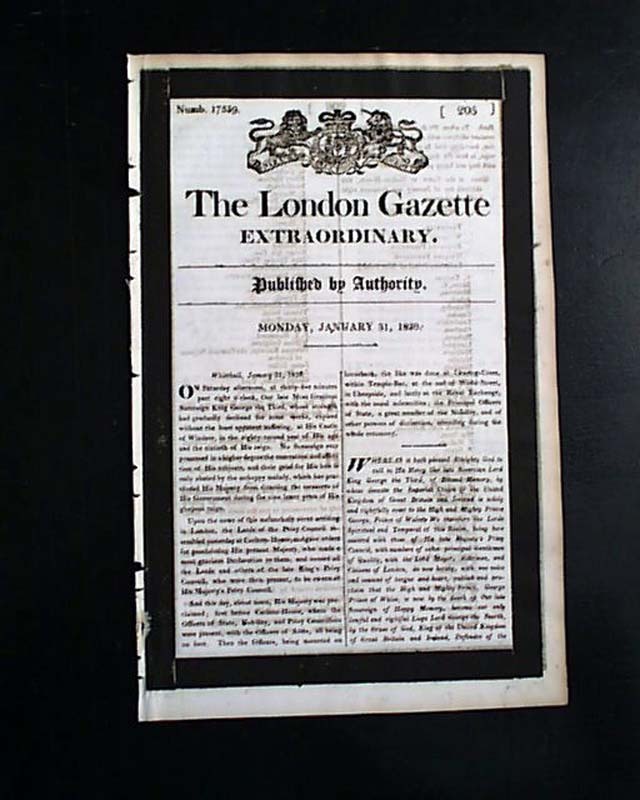 The text begins: "On Saturday afternoon at thirty-five minutes past eight o'clock, our late Most Gracious Sovereign King George the Third, whose strength had gradually declined for some weeks, expired without the least apparent suffering, at his Castle of Windsor in the 82 year of his age and the sixtieth of his reign..." with much more. 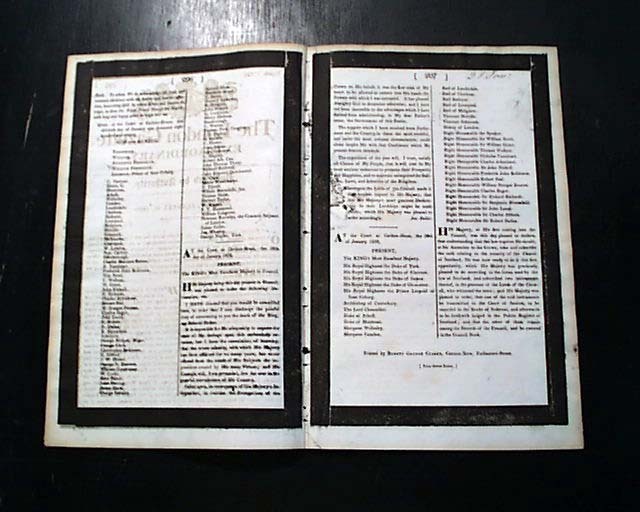 All of the content on pages 2 & 3 related to the death of the King. The back page is blank. Terrific to have this announcement in the London Gazette, the official mouthpiece of the Royal Court. 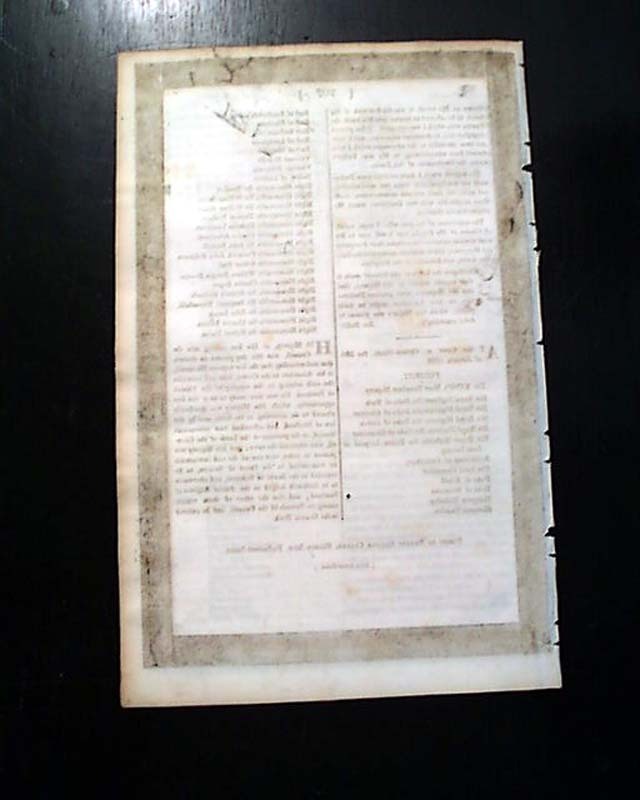 Four pages, the masthead features an impressive Royal coat-of-arms engraving surrounded on all four margins with an uncommonly wide black mourning border found on pages 2 & 3 as well. Measures 7 1/4 by 11 3/8 inches, great condition.